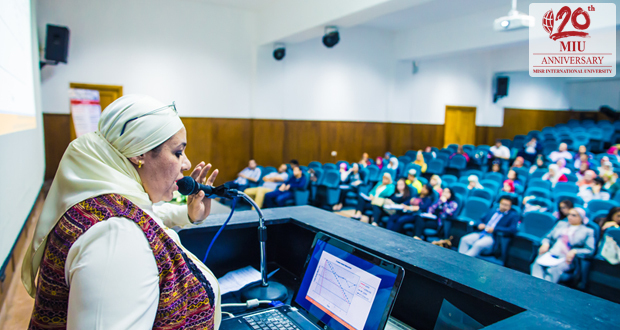 Misr International University is always contributing to developing its students’ futures and careers and keen to develop the quality of education in Egypt. MIU decided to hold a workshop for the Continuing Education entitled “Integrating Targets in Oncology, A perspective on Palliative, and Supportive Care and Beyond” on Saturday 9th of April, 2016. 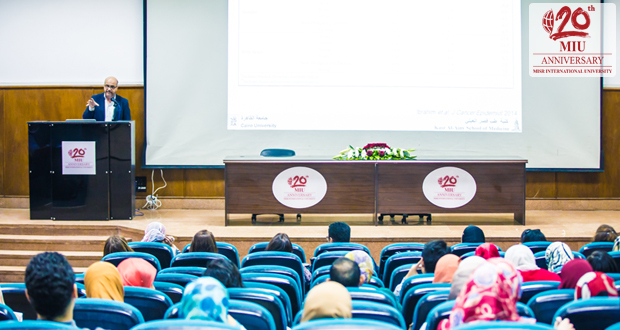 Four professors participated in the workshop: Prof. Samy Alsirafy, Professor of Clinical Oncology at Kasr Al-Ainy, Prof. Ebtesam Ahmad, Pharm.D, M.S., St. John’s University College of Pharmacy and Health, U.S.A, Prof. Abdallah Abo-Taleb, BScPhm, PhD, and Prof. Heba Anise, BScPhm, BCNSP. 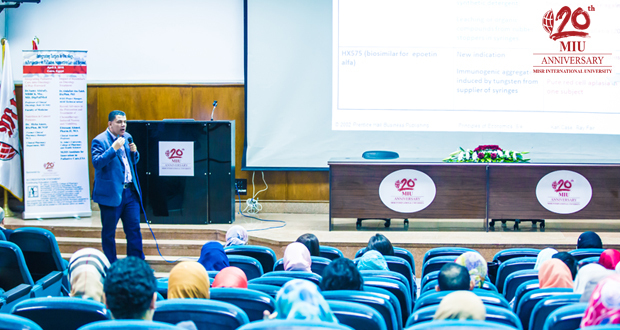 A hundred hospital and clinical pharmacists from diverse health institutions in Egypt as well as academics from governmental faculties of pharmacy attended the CE Workshop that was held as a part of the ACPE accredited series of the Continuing Professional Pharmacy Development Program at the MIU Faculty of Pharmacy.